All parent groups are not the same. PTA is a not-for-profit organization and the nation’s original and premier parent involvement group in schools. PTA has more than 23,000 local units and nearly 6 million members. PTA units are supported by a national and state structure that provides valuable information, resources, and training. PTA believes parents are more than fundraisers. 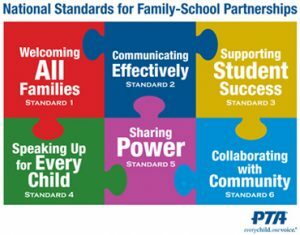 PTA works with parents to advocate for proper funding, leadership, and instruction for all schools and school districts. Chartered PTA units are 501(c)(3) nonprofit organizations. Local units select the priorities, programs, and activities that address the needs of their schools. I’m a teacher. 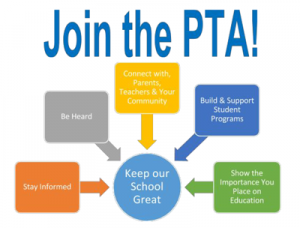 Why should I join PTA? There are many reasons for teachers to join PTA including – supporting your school, helping to improve your school environment, helping to create a richer learning experience for the children and having access to a corps of parent volunteers. 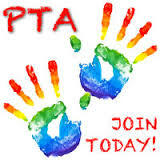 PTA membership is open to everyone. As the name implies, parents and teachers join PTA. But, really, any individual, community organization or business who has an interest in our school can join. PTA is inclusive of all people who care about children and schools. PTA builds bridges between families, schools, and communities to help children succeed academically and personally. How much does it cost to join the Churchill PTA? The cost is $12/individual or $20/couple. It’s easy! Click here to join online. For each member, we pay $4.50 to the Illinois/National PTA. The remainder goes into our operating budget to support programs and events for our students and families. I’m busy, I don’t have time for PTA, and my kids are just fine. So why should I join PTA? 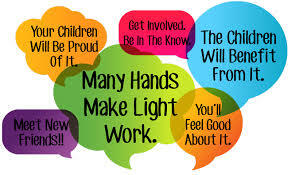 Even if you have little time for and/or interest in volunteering for PTA activities, your membership dues are still an essential component to the success of our PTA which, in turn, contributes to the success of your child. Your dues are applied directly toward the many fun, interesting and valuable programs, activities and academic support functions that the Churchill PTA supports. We need your support! If I join the PTA, do I have to go to the PTA meetings? NO!!! While the PTA meetings are a great way to make your voice heard and stay in the loop with what’s going on in the PTA, meeting attendance is not a mandatory condition of membership. In fact, most PTA meetings consist of the Executive Committee members, Board Members (Committee Chairs), certain staff and a sprinkling of other parents. Of course, we’d like to see more members at the meetings to get more feedback and suggestions for the direction of our PTA, but we understand that people are busy. What’s the deadline for joining PTA? 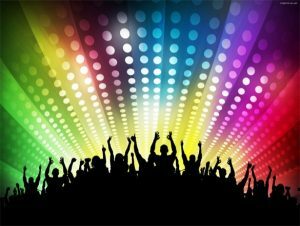 August – October is the big Membership Drive when we try to get most of our members signed up or renewed since we rely on membership dues to fund our activities. However, we continue to accept memberships all year long. Isn’t PTA just a bunch of busybody moms with nothing better to do? Definitely not! We need busybody dads, too! Actually, dads are a welcome and necessary PTA participant, especially at many of our large events. As for the moms, most of the moms are busy but not “busybodies.” According to allwords.com, a “busybody” is “someone who interferes with others; one who is nosy, intrusive or meddlesome.” Our volunteers are a tireless crew who unselfishly give countless hours of their time in order to coordinate, plan and execute the various PTA activities and programs, all for the betterment of our school and school community. PTA sounds like a clique to me. Why would I want to be part of that? Any organization, whether a PTA, a softball league, or a church choir may seem a little intimidating at first. But you can be sure that at Churchill all are welcome to lend a hand, offer opinions, suggest changes and voice concerns. Give it a try. Come to a meeting or volunteer for a committee. We think you’ll be pleasantly surprised.